Grace Lang is Director of RCUK China. 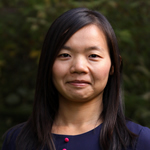 Grace joined RCUK China in August 2008 and previously headed up the Science and Innovation (SIN) section in the British Consulate-General in Chongqing to drive UK-China research collaborations in southwest China via partnership mapping and project initiation. She was the SIN national lead on identifying locations of research strength in engineering and materials science in China. Grace also worked as an English lecturer in Sichuan International Studies University. September is one of the most beautiful months in Beijing, as the weather starts cooling down, families are gearing up to celebrate Mid-Autumn festival at the end of the month – the perfect time for us to highlight what has been described as a Golden Year for UK-China ties. Joining the Beijing part of Sir Mark Walport’s visit, Professor Jane Elliott arrived on Monday morning to sunny, blue skies – despite the megacity’s reputation for ‘airpocalyptic’ pollution. It was with this backdrop that six weeks of UK-China ministerial visits and dialogues were launched leading up to the State Visit by President Xi Jinping to the UK in October. This will be the first official visit by a Chinese head of state since his predecessor, Hu Jintao, came to Britain in 2005. The October State Visit is a once-a-decade opportunity to elevate ties between the two countries. UK-China research collaboration forms an essential part of this relationship, largely as a result of the ground-breaking progress RCUK has made in building up strategic funding partnerships to provide access to the best facilities and skill sets in both countries to advance science. In 2015 alone, RCUK has launched 12 joint research programmes with our funding partners in China with matched equivalent resources for a UK investment of over £30 million. This has been a direct outcome of the establishment of the RCUK China office in Beijing in 2007; by doing so, the Research Councils have been able to develop robust partnerships with Chinese counterparts to fund world-leading research. Over these eight years, the work of RCUK China has resulted in the value of Research Councils joint programmes with China increasing from £6.5 million to over £160 million. While navigating China’s complex research system to negotiate joint programmes is the bread-and-butter of the RCUK team in Beijing, it is through high-level visits from the senior colleagues of RCUK that we can take these partnerships to the next level. China is estimated to be the world’s largest spender on R&D by 2022, how we build success and shape our engagement with China is key to ensuring mutual benefits in the future. 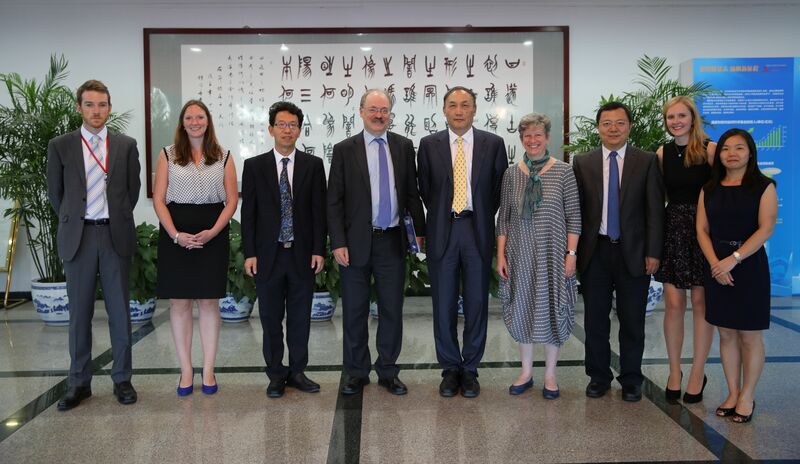 During Professor Elliott’s three-day visit to Beijing, she had strategic meetings with senior representatives of all our major funding partners, and represented RCUK in the first ever meeting of Chinese funding partners under the Newton Fund, chaired by Sir Mark Walport, the UK’s Government Chief Scientific Advisor and Cao Jianlin, Vice Minister of the Ministry of Science and Technology. On the last day of her visit we celebrated the ESRC-AHRC International Centre Partnerships programme with CASS, China’s premier academic and research organisation in the fields of philosophy and social sciences. Professor Elliott met with the Chinese principal investigators to mark this major achievement for both RCUK and the greater UK academic community. 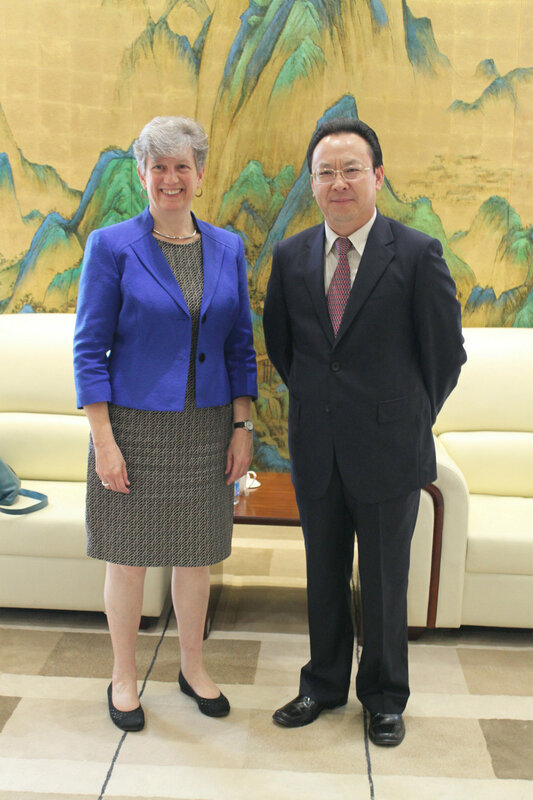 Meeting with Yang Wei, President of the National Natural Science Foundation of China and RCUK’s primary funding partner in China. Professor Elliott’s visit has given us the opportunity to explore new areas of collaboration with our stakeholders, such as big data. Moreover, as we get ready for the State Visit next month, her visit has highlighted what we have achieved over the past eight years in facilitating UK-China research collaboration and the benefits of embedding a multi-disciplinary approach to addressing global challenges. We believe that our ever-strengthening research partnership with China will enable us to contribute substantially to the prosperity of the UK and China.